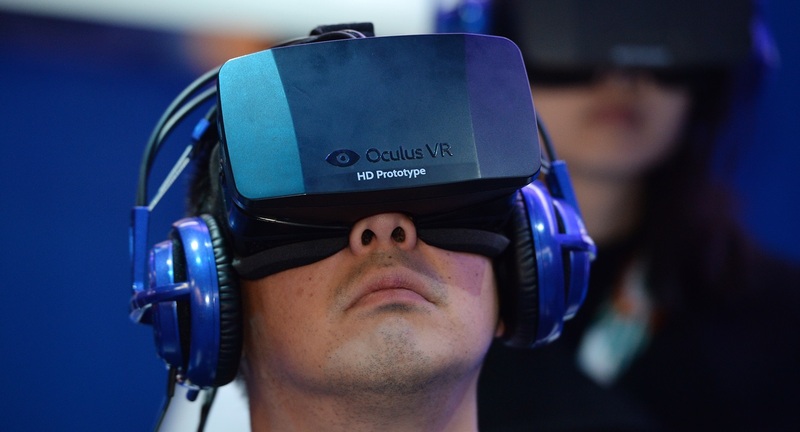 Facebook has again created waves in the tech world after announcing a $2 billion deal to acquire Oculus VR, the virtual reality gaming company that began life as a Kickstarter project less than two years ago. 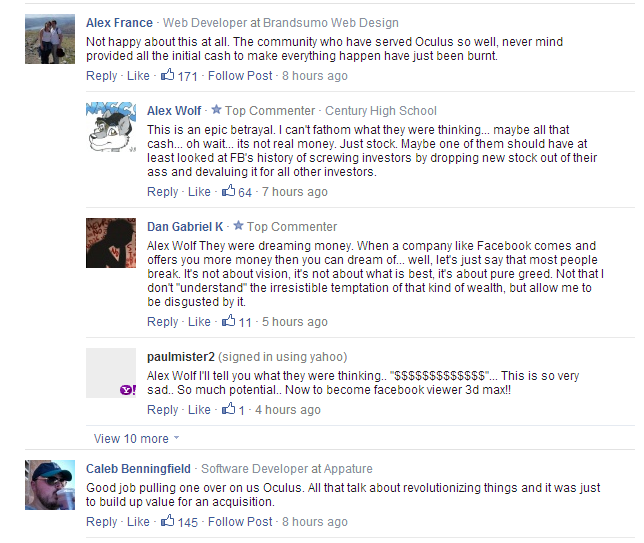 The deal has created controversy among Oculus VR’s loyal fanbase, many of whom are wary of Facebook’s ad-based business model and its track record on privacy. Users go head-to-head on a split screen, with the one who racks up the highest score winning. The backlash is to be expected — deals involving independent companies and billion dollar giants rarely get the thumbs up from everyone, especially when we’re talking Facebook — but nowadays it appears that selling to Facebook is no longer selling out, given the company’s new model of supporting promising businesses independently. Unlike other companies — Yahoo in particular, but also, on occasion, Google — Facebook’s big deals are less about integrating or talent buying, and more about building a collection of influential companies that can grow by themselves while tapping into Facebook’s resources, both financial and relationship-wise. That’s the explanation from Facebook founder Mark Zuckerberg, at least, who espoused the potential of Oculus Rift, the company’s virtual reality headset, and its opportunity to become the next platform after desktop and mobile. WhatsApp CEO Jan Koum went to similar lengths to explain his company’s independence from Facebook. In the blog post announcing the $19 billion deal, he actually described it as a “partnership” and did not mention the (huge) figure involved. Similarly, Oculus VR co-founder Palmer Luckey has been busy telling the world that Facebook’s involvement will supercharge his company and its products rather than screwing it up. 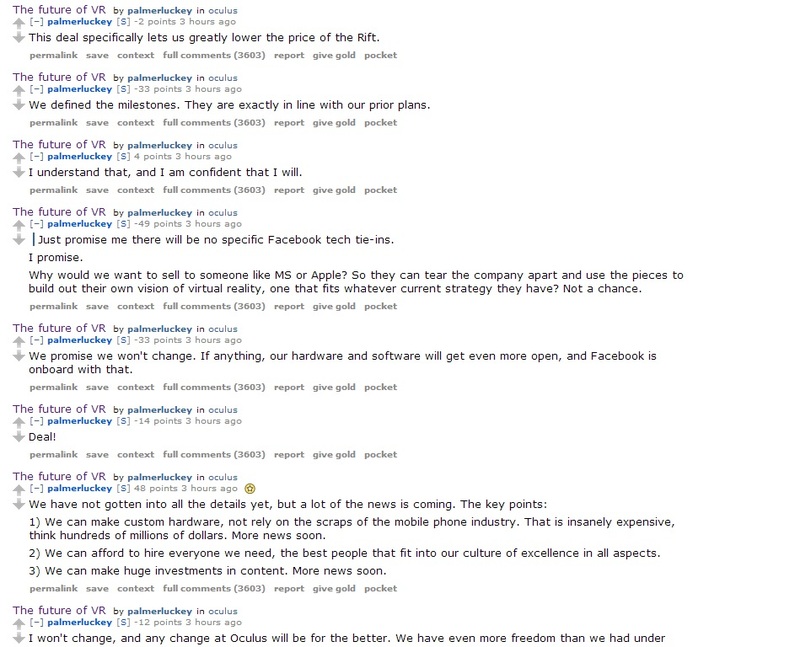 Here’s a list of messages he left on Reddit, where many of Oculus’ biggest fans can be found. The problem here is that these are just words and there is no evidence that Facebook will let its acquisition live independently. Instagram is the only test case so far. It just passed 200 million active monthly users, a figure that resources from Facebook have no doubt helped it reach, but many will cite Facebook’s influence around its decision to introduce advertising, even though it may well have introduced a similar monetization model had it remained independent. Looking at the alternative, there is only so far you can get using VC money and your own resources. WhatsApp founder Koum realized that, with Facebook’s money and connections backing him up, WhatsApp had a better shot at changing how people communicate on their smartphone and the Oculus founders believe their deal can do the same to them. Customers, fans and users may want to believe that an independent company can go it alone, but in reality Facebook is offering a dream option for founders. The question is whether Zuckerberg and co. can really sustain these independent companies — my personal belief is that they can and will.